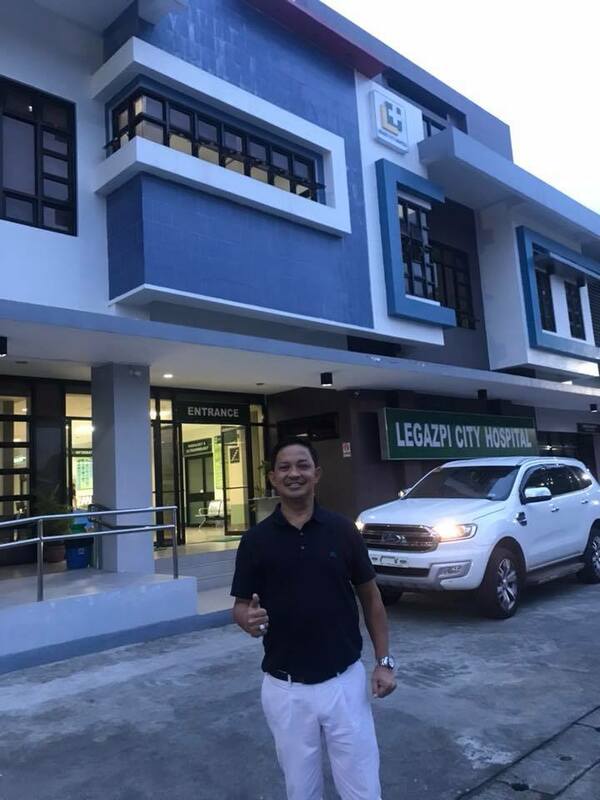 LEGAZPI CITY -- After three years of construction, the new Legazpi City Hospital - built at the cost of PHP120 million - is now ready to serve the public. The hospital was formally opened last Wednesday after a Holy Mass and blessing officiated by Bishop Joel “Bong” Baylon. Present were Legazpi Mayor Noel Rosal and members of the city council, department heads, city government employees, media practitioners and other visitors. Rosal said the hospital would help decongest the Bicol Regional Training and Teaching Hospital (BRTTH) that presently caters to the medical needs of patients from entire Albay and other neighboring provinces like Sorsogon and Catanduanes. The city chief executive described the Legazpi City Hospital as a state-of-the-art public health facility and one of the most modern hospitals in the entire Bicol Region. It is manned by professional doctors, nurses, midwives, dentist, med-tech and other medical personnel ready to render health care services to city residents, especially the indigent patients. At present, only Phase One of the two-story hospital has been completed, with a capacity of 25 to 60 beds. The city government hopes to soon be able to construct a third floor with additional rooms to accommodate a total of 200 beds. Rosal said his administration will shoulder the yearly operational expenses of the hospital estimated at PHP80 to PHP100 million - to cover the salaries and wages of all the medical practitioners, electric and water bills, gasoline and other similar expenses. The health facility will be equipped with various medical machinery and offer simple surgical procedures and emergency treatment. The laboratory as well as the operating and labor rooms, X-ray section, intensive care unit, emergency and recovery rooms as well as dental clinic and pharmacy are all located on the ground floor of the building. The male and female wards including the pediatric rooms and office of doctors and other personnel are located on the second floor. The hospital also has a fire protection pump and medical waste holding room, material recovery facility and a placenta pit.